I don’t know. What could she have? A new cell phone, maybe? Some of that Greek yogurt she said you could find sometimes at the Bambis supermarket? A kitten? Seems it’s not as bad as it sounds. 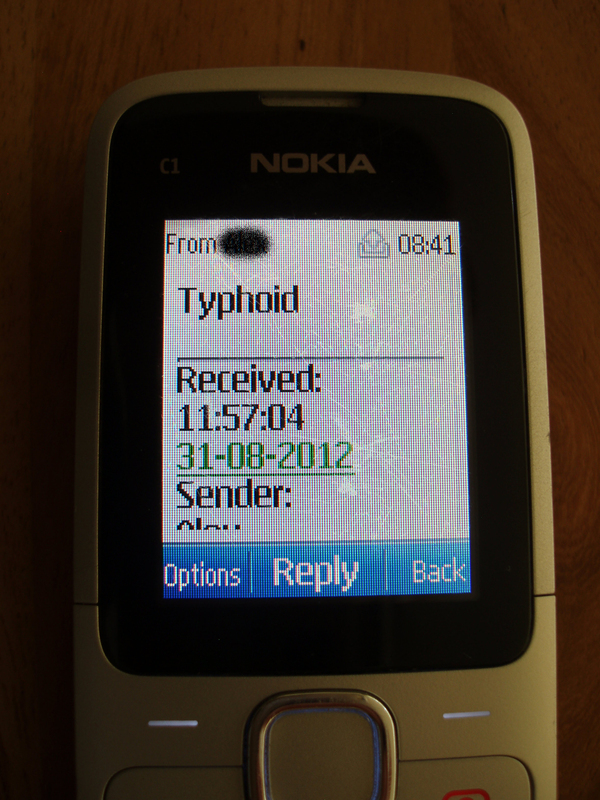 People get typhoid fever here all the time (in fact, two other colleagues have been diagnosed since that message). My family’s been immunized, so we are less likely to catch it – no guarantee, though. Still it’s easily curable with antibiotics. My lab-mate was at work the next Monday and feeling fine, she said. That is so not a kitten!! Yikes! AHAHA! Oh wait, despite your presentation, that’s not funny, that’s the opposite of letting you think the dog died to couch the coffee grinder news. ‘Cuz THAT’S funny.